Johnson has led the Idaho Conservation League for the past 22 years and in that time grown the organization into a statewide powerhouse with 21 staff and street cred from Boise to Sandpoint. Idaho Conservation League’s list of accomplishments is long. It has stopped the single largest source of airborne mercury pollution in the US, permanently protected the Boulder-White Clouds and Owyhee Canyonlands as wilderness, and ensured clean water across the state. Rick Johnson and Representative Mike Simpson at the City of Boise City Club award ceremony. Castle Peak in the White Clouds is pictured in the nearby poster. Photo courtesy of the Idaho Conservation League. As a result, Idaho Conservation League broadened its portfolio and began working on issues that mattered to the majority of Idahoans. Johnson includes clean air, sunsets on the Owyhee, the pull of a cutthroat, and the howl of a wolf in his list of things most Idahoans can agree are worth protecting. Today Idaho Conservation League commonly works with people who wouldn’t speak with its staff two decades ago. “My job is to play the very best hand with the cards I am dealt,” Johnson says. “In Idaho, you can get pretty bad cards.” Idaho Conservation League’s strategies included supporting the development of Conservation Voters for Idaho, which works to elect individuals who vote with the environment in mind. This organization has, over time, increased the chances that Johnson and others would be dealt better cards with which to achieve conservation outcomes for Idaho. Wilburforce Foundation supports thoughtful and transformational leadership in addition to organizations that are working to conserve lands, water, and wildlife. It recognized Rick Johnson with its Conservation Leadership Award in 2010. 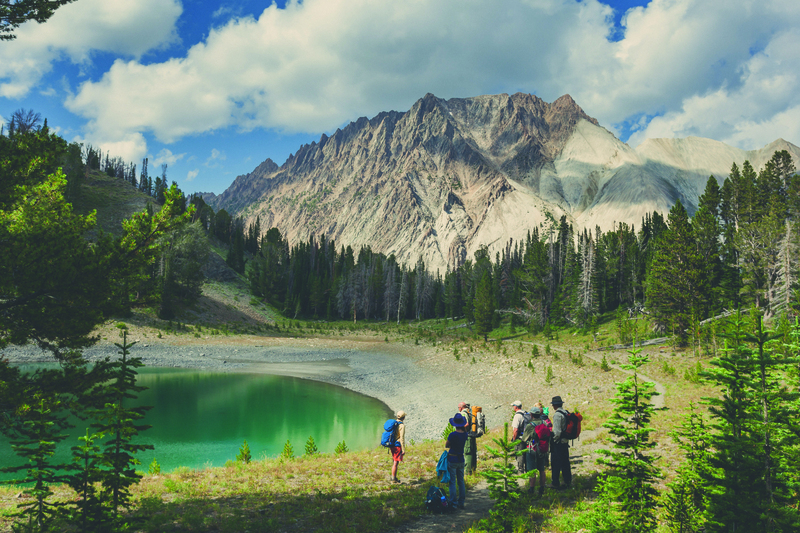 Wilburforce is proud to have supported Idaho Conservation League’s work across Idaho since 2000. 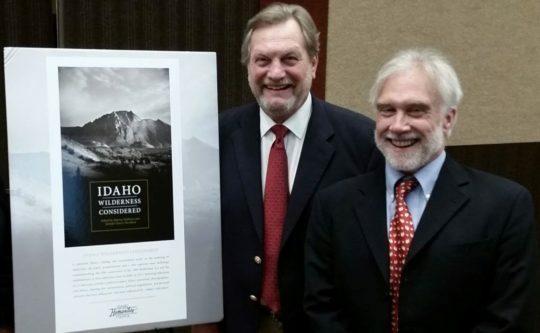 In December 2015, the City Club of Boise awarded the Stimpson Award for Civic Engagement to Rick and Rep. Mike Simpson for their collaborative work to protect the Boulder-White Clouds. That’s why I’m crazy about Idaho.